Support ActonYour gift helps us connect good intentions with sound economics. With your support, the Acton Institute reaches millions of people worldwide. Our mission is to promote a free and virtuous society characterized by individual liberty and sustained by religious principles. What does that mean? Our strategy is to educate religious, academic, and business leadership around the world. We know that when we share ideas that lead to human flourishing, we offer leaders a new way to think about the problems in society and how to solve them for the common good. 131 Million. This is not a population statistic, nor is it the answer to some clever math problem. It’s the number of people you reached through Acton over the past year. It’s the premier conference for people who want to learn about the intersection of faith and economics. 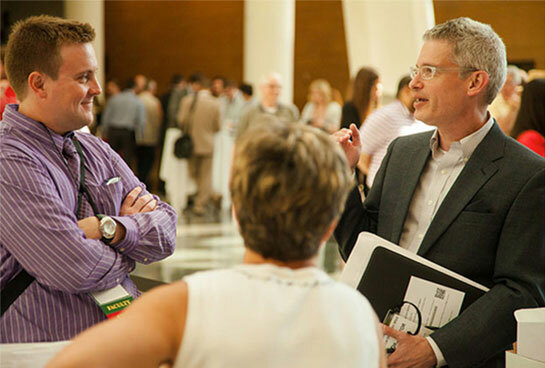 Each June, more than 1,000 participants from around the world come to Grand Rapids, Michigan to listen to lectures, engage in conversation, and network with renowned scholars. Your support for this conference allows up-and-coming leaders to attend, extending Acton’s reach far beyond West Michigan. 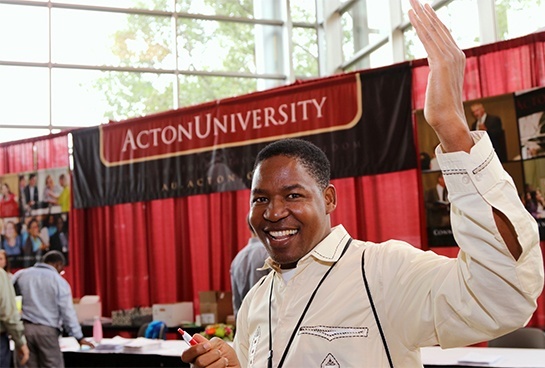 Acton employs a lean staff of academic researchers, conference professionals, writers, and communications experts. Your gift helps keep the lights on for our team and enable us to focus on what we do best: promoting a free and virtuous society. Acton’s internship program cultivates young talent in the service of liberty. 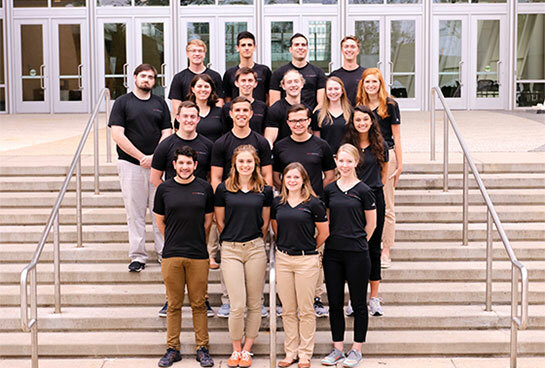 Support for this program allows us to bring in students from a variety of disciplines to gain professional experience while working on our major initiatives. Human flourishing is for everyone. Acton’s commitment to poverty alleviation can be found in our various programming and media products that encourage enterprise instead of aid. 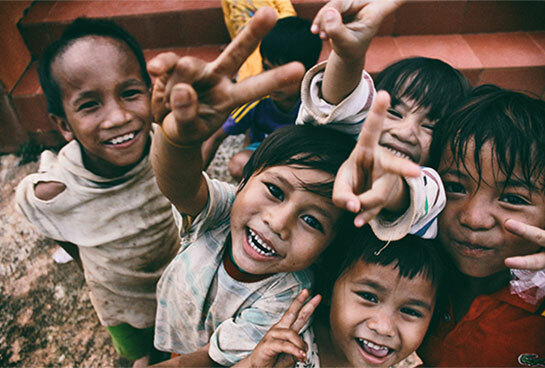 Our PovertyCure partners across the globe utilize Acton principles to foster opportunity to those most in need. The Acton Institute is dedicated to transparency and accountability. Find out more by clicking the links below. Your support made possible a wide range of conferences, publications, media products, television interviews, and social media outreach that impacted leaders around the globe. For this, we are truly grateful. As you know, Acton has been promoting liberty and virtue for 25 years now. Alumni of our programs and users of our products include heads of state, members of the U.S. House, Fortune 500 business executives, influential clergy, and professors and students from preeminent universities and seminaries. Many of these individuals have gone on to promote Acton insights in their own realms of influence and authority. But you did. Over the years, you’ve supported us generously with your prayers, encouragement, and resources. That generosity has made us one of the most unique and respected organizations in the free-market movement. As you read this Founders’ Report – and all of them, for that matter – we hope you will see yourself not as a passive supporter, but as an active collaborator. Over the last 25 years, your support has brought us to this place. And of that, you ought to be proud.